Bharat Bandh originated by central trade union workers' two-day strike crippled normal life in India. Here is a glimpse into the disruption that occurred. Central trade unions on Monday night began a nationwide strike against the policies for workers adopted by Central government. 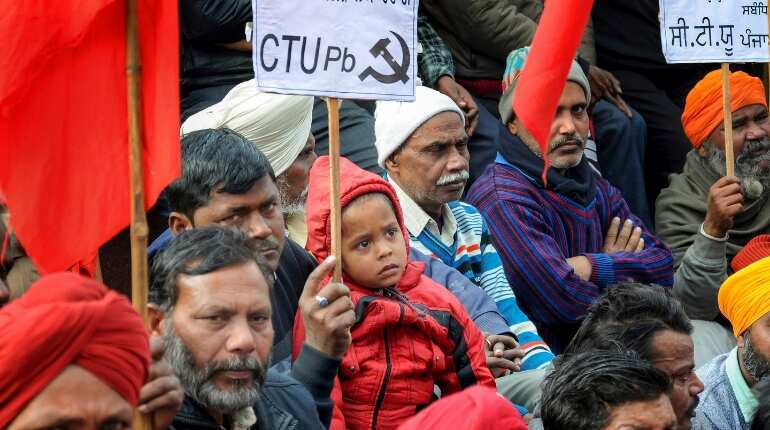 Ten central trade unions — INTUC, AITUC, HMS, CITU, AIUTUC, AICCTU, UTUC, TUCC, LPF and SEWA — also called for the strike on January 8 and 9 against what they call 'anti-people' policies of the Centre. They placed a charter of 12 demands before the central government which include minimum wage, universal social security, workers' status, pay and facilities for the scheme workers, against privatisation of public and government organisations. The banking sector was affected since few bank employees refrained from work on Tuesday in order to participate in the strike. 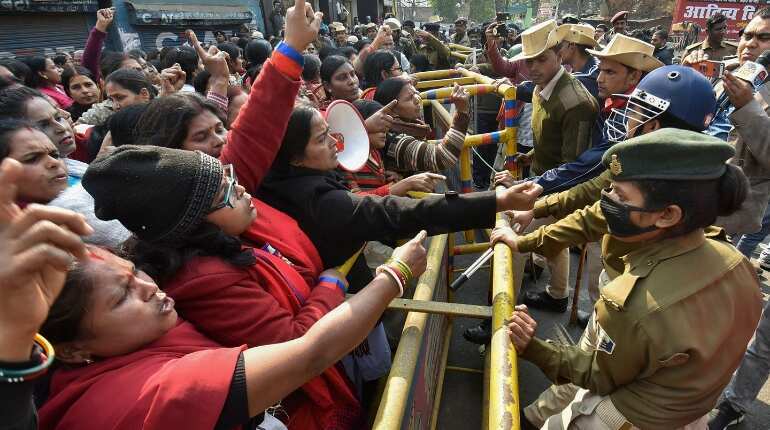 All India Bank Employees' Association (AIBEA) and Bank Employees' Federation of India (BEFI) supported the strike, disturbing the banking operations where these two unions are strong. Bharat Bandh affected transportation for 48 hours as trains were stopped and buses, rickshaws were kept off the roads. 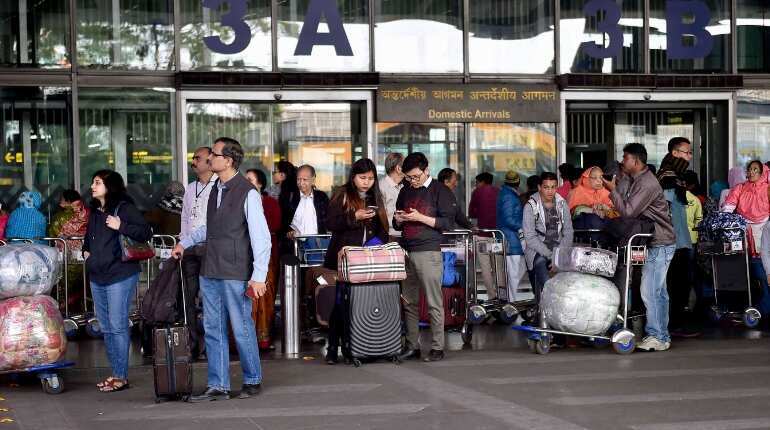 The normal life was struck by the strike in many parts of the country, as passengers waited hours to get cabs and other services. Various mobs in different states took to blocking of roads, railway tracks compromising the safety of other mango men. Tyres were burnt and buses vandalised at many places in West Bengal, Kerala, Odisha, and parts of North-east India. The education sector was affected by the havoc caused due to the nation-wide strike. 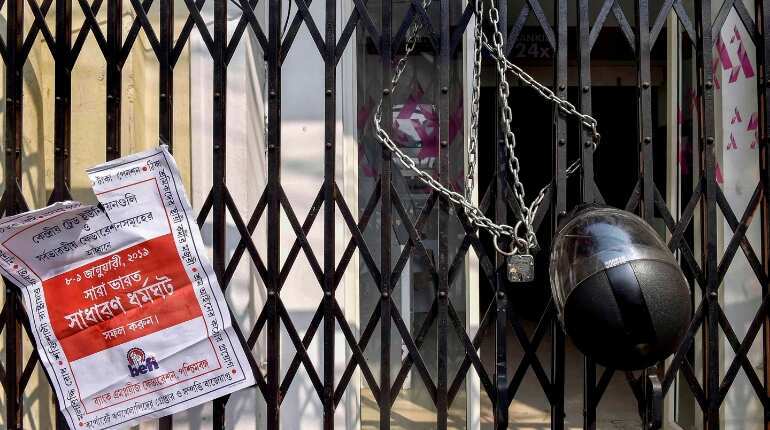 Karnataka and Odisha closed all educational institutions including schools, colleges, and universities on Monday and Tuesday considering the safety of children during the two-day nationwide strike. The tumultuous crowd of protestors started to get physically violent with the police workforce. 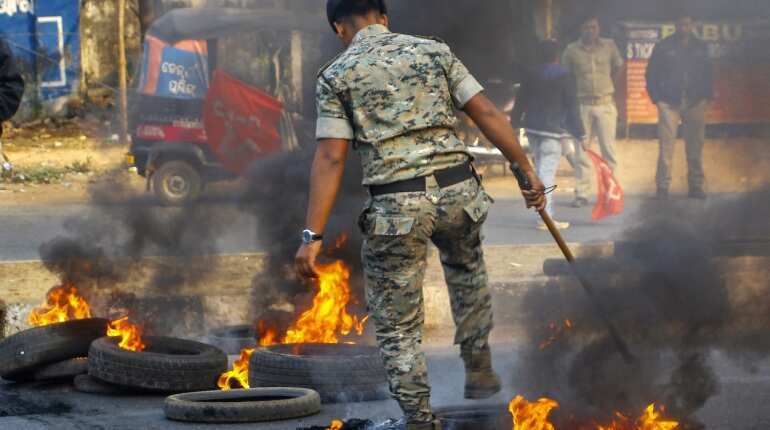 The violence took to another level when clashes occurred between members of different political parties The Communist Party of India- Marxist (CPI-M) and Trinamool Congress (TMC ) due to their difference of opinions regarding the strike. 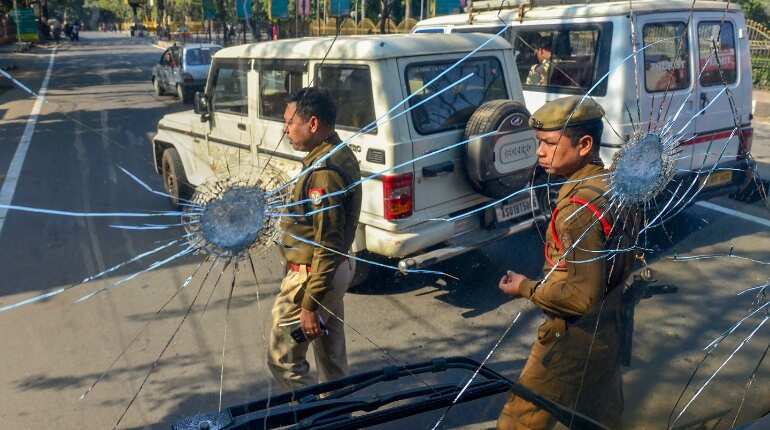 The untamed mass pelted stones at a school bus in West Bengal. Police informed that the students were later deboarded from the bus. 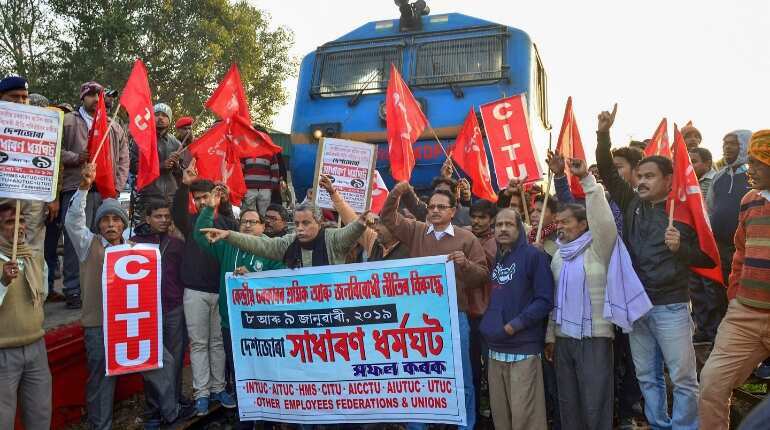 Some 20 crore trade union workers took part in the two-day Bharat Bandh strike. In their aim to protest against 'anti-people' policies, they affected the routine life and people's safety itself.